To display both wallcharts at the same time, you will need to purchase two copies. 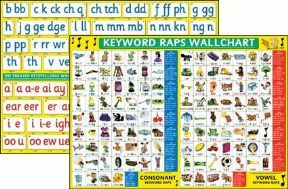 Use the chart to practise tapping and clapping the English Keyword Raps. 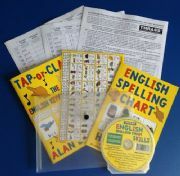 Learners can practise and revise seven of Skills 1-10 explained on the S-77 CD. 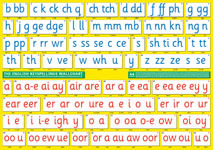 The consonant keyspellings are blue and the vowel keyspellings are red. 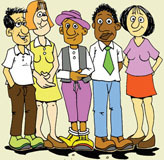 Learners can practise and revise eight of the ten skills explained on the S-77 CD. Skill 3. Point under each keyspelling and name the letter/s. Can you do this from memory by visualising the letters? 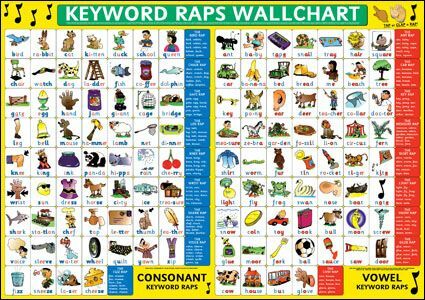 Begin each row by saying the name of the row e.g. "C1". Form in the air (trace over or write) and name the letters over which you hesitate. 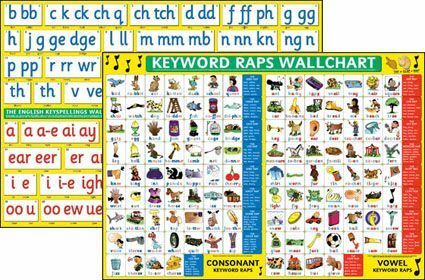 To help you visualise/picture a keyspelling in a word and recognise it in other words, use a finger or dry-wipe pen to trace over and name each of the letters in it. 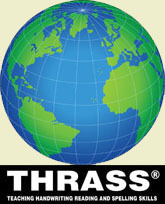 Full colour, two-sided, encapsulated, size A1 (841mm x 594mm = 4 x A3). 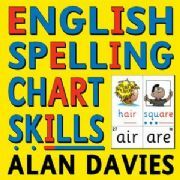 Side 2 is based on the THRASS® Grapheme-Word Chart © 1998 Alan Davies & Denyse Ritchie.